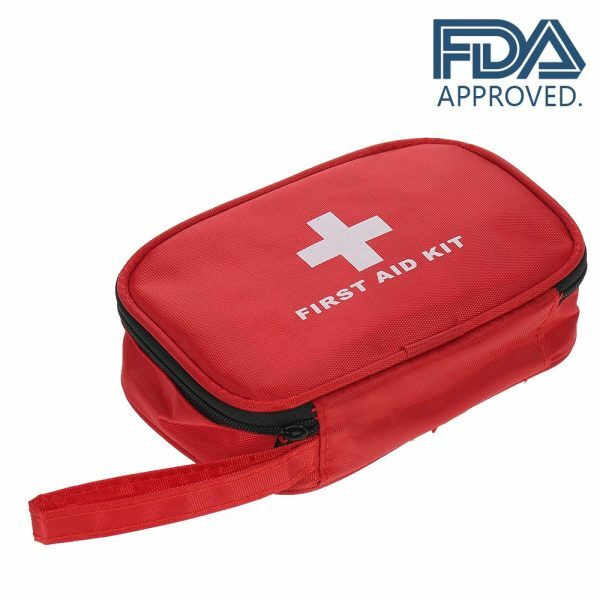 Contain 40pcs medical first-aid supplies. Compact and portable to carry. Different products to handle trauma and wound situation. Include: PBT Bandage, Alcohol Pad, Sterile Gauze Swab, Sting Relief Pad, Tweezers, Adhesive Bandage Strips, Cotton Buds and more. Suitable for home, office, car, emergency, outdoor, camping, etc. Water-proof bag with convenient zipper. FDA approved quality, most are sterile packaged.